If you’re taking your heavy vehicle licence you’ll have spent a lot of time and money practising, so you want to get it right first time. 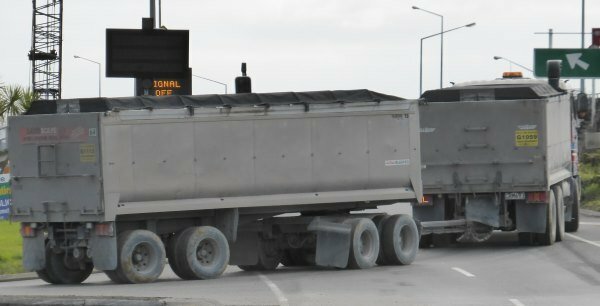 We spoke to two senior heavy vehicle instructors, Iain at Passrite in Auckland and Peter at Prodriver in Timaru, to get their input on why people fail their heavy vehicle practical test. Their advice is below and is well worth reading before you take your driving test. We spoke more about the relative sizes of heavy vehicles in relation to cars and the difficulties of driving them around tight city streets. Iain said, “Having a longer wheelbase it’s quite easy to cut a corner, or if you’re going right around a roundabout it’s quite easy to mount the wheels up on the kerb. Coming into those areas you really need to be slowing down. If you don’t use your mirrors you don’t know what is around you and you can put cyclists and other road users at risk. Mirrors are also useful to make sure you’re not too close to street furniture such as road signs. It’s important for a heavy vehicle driver to be gentle on the equipment and the cargo. An important driving style to preserve the gearbox and clutch, and to help prevent loads shifting is knowing how to change gear smoothly. Peter was insistent on the importance of practice and learning from the ground up so that drivers understand their vehicles. There are advantages and disadvantages to this. It is obviously good for driver training schools though, because they are the ones that have most of the responsibility for driver training and can teach a new driver the correct way, rather than bad habits being passed on. However, it does make it more expensive to learn to drive a heavy vehicle. If you don’t know your pre-drive checks then you won’t pass your test. Use a vehicle you are familiar with. This means that you will know the dimensions, acceleration and braking characteristics and where all the controls are, which means you’ll have less mental overhead trying to take those into consideration like you would in an unfamiliar vehicle. Ask the assessor to explain everything they are looking for in the assessment. Don’t leave anything to chance – make sure you’ve double-checked what’s expected of you in the assessment. Thank you to Iain at Passrite in Auckland and Peter at Prodriver in Timaru for their input.